We are pleased to offer this fine and unusual pair antique carved stoneware figural bookends originating from the American Haida Indians from Queen Charlotte Island off the North West Coast and believed to date from the latter 19th century. 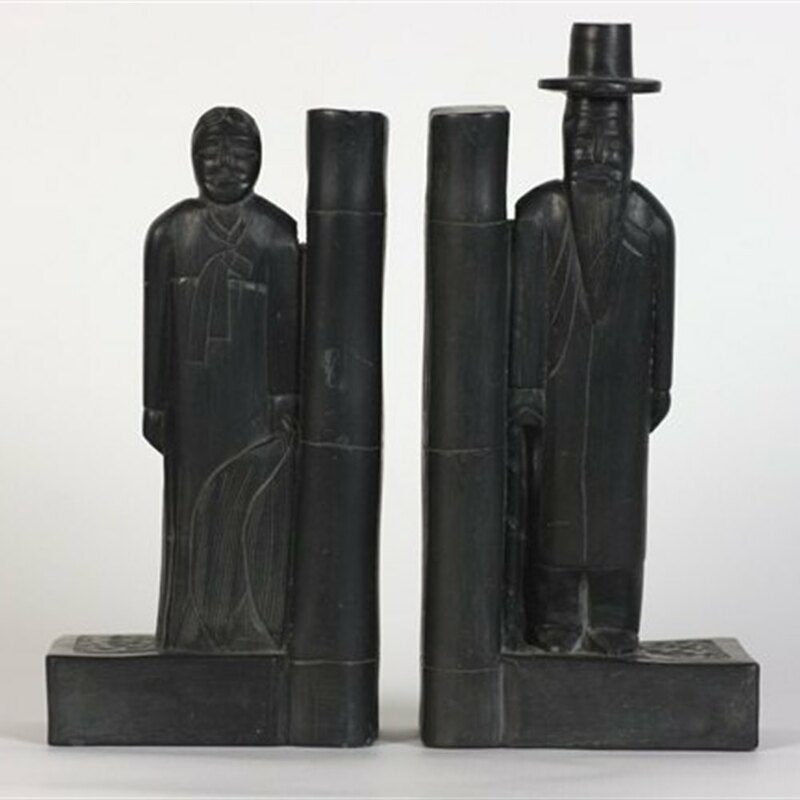 The bookends are carved from a grey slate like material and one is carved with a bearded man in a tall hat and the other with an Indian woman in traditional costume. Both are hand carved on a raised base with the book ends carved bamboo. At Xupes we handpick our items from all over the world using our expert knowledge. As a team we study the markets to make sure we provide the most interesting and sought-after items at competitive prices. Here at Xupes, you can be assured when purchasing from us that every piece is carefully selected for our collection and is checked by our in-house specialists to ensure authenticity. We are also proud members of The Association of Art and Antiques Dealers (LAPADA), meaning you can shop at Xupes with complete confidence. Our commitment to excellent customer service and our in-house expertise ensure you an unforgettable experience when shopping with us. This experience continues after you receive your item, with our team of art and design experts on hand to provide advice on caring for your purchase. E.S.HARDY, THE WICKED HUSBANDMAN, 20TH C.
MODERNIST CANDLESTICKS MID 20TH C.
S. INGES, SEASCAPE 19TH C.
CHINESE HAWTHORN JAR 19TH C.